Michael Blake has served in the state Assembly since 2015. 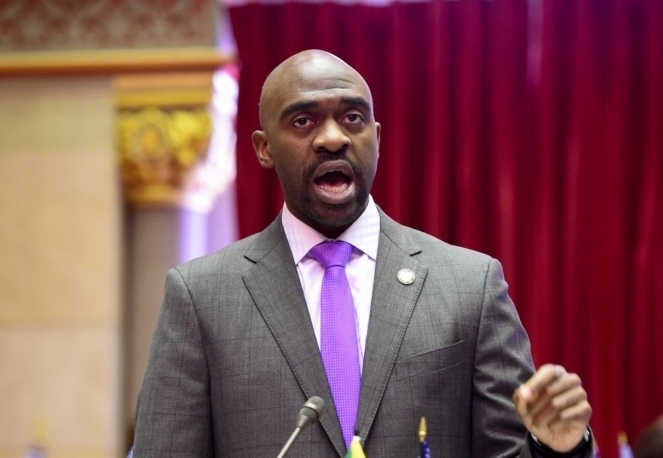 A little over four years ago, Michael Blake harnessed a broad network of support and overcame the opposition of the Bronx Democratic apparatus to win a contested primary for a state Assembly seat that had been vacated by scandal. At the time, many observers thought that Blake would eventually aim higher than a seat in the lower house of the legislature. Indeed, as his second term began in 2017, he was elected one of the vice chairs of the Democratic National Committee. And now, he is a candidate for citywide office, vying to win the February 26 special election for public advocate with, at last report, more money in the bank than the other 21 candidates. Blake says his chief credential for the job is that he’s “a coalition builder who has a vision.” That vision includes getting the public advocate a seat on the MTA board to help address the transit crisis, working to withdraw tax benefits from bad landlords and revising the de Blasio administration’s plan to save NYCHA to focus on using development on public land elsewhere in the city (not on the sensitive territory of NYCHA developments) to underwrite repairs to public housing. Listen below as Blake discusses his accomplishments during his brief time in the Assembly, his growing list of endorsements and his path to victory. Or listen to the full show (featuring two other candidates, attorney Dawn Small and Assemblymember Daniel O’Donnell) at bottom. Smalls says she’d focus on transit, housing and voting reform if she prevails in the February 26 special election for public advocate. The veteran lawmaker says the HQ2 deal presents precisely the kind of issue where a public advocate’s voice can be critical. And he argues that he’s been clearer on that issue than others in the race.